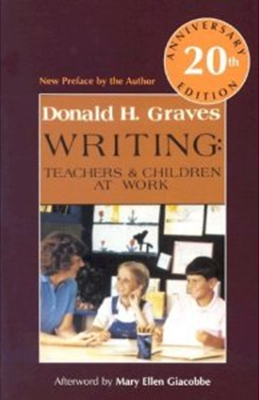 The teaching of writing demands the control of two crafts, teaching and writing. They can neither be avoided, nor separated. The writer who knows the craft of writing can’t walk into a room and work with students unless there is some understanding of the craft of teaching. Neither can teachers who have not wrestled with writing, effectively teach the writer’s craft. We don’t find many teachers of oil painting, piano, ceramics, or drama who are not practitioners in their fields. Their students see them in action in the studio. They can’t teach without showing what they mean. There is a process to follow. There is a process to learn. That’s the way it is with a craft, whether it be teaching or writing. There is a road, a journey to travel, and there is someone to travel with us, someone who has already made the trip. More needs to be said about the crafts. Why are they crafts? How are writing and teaching defined as crafts? A craft is a process of shaping material toward an end. There is a long, painstaking, patient process demanded to learn how to shape material to a level where it is satisfying to the person doing the crafting. Both craft processes, writing and teaching, demand constant revision, constant reseeing of what is being revealed by the information in hand; in one instance the subject of the writing, in another the person learning to write. The craftsperson is a master follower, observer, listener, waiting to catch the shape of the information. Children need to choose most of their own topics. But we need to show them all the places writing comes from, that it is often triggered by simple everyday events. Children need regular response to their writing from both the teacher and other readers. Children need to write a minimum of three days out of five. Four or five days are ideal. Children need to publish, whether by sharing, collecting, or posting their work. Children need to hear their teacher talk through what she is doing as she writes on the overhead or the chalkboard. In this way the children witness their teacher’s thinking. Children need to maintain collections of their work to establish a writing history. Collections show that history when they are used as a medium for evaluation. And I wonder if it is too many, but I have a lot of information so now I think it is OK. So I am going to at least look in two more books before I start my drafts because I need more information. They live in trees and I once found a little hole with acorns when I was climbing a tree and me and my sister stuffed a lot of acorns in the hole so they’d have things to eat in the winter—I’ll write about that. I read over draft one, then I made the fourth draft into the first draft and the third draft into the fourth draft into the first draft. I just taped them all together. I took some things out, and put in two chapters—more than two—four. I had to change that part—I found out I had to get vaccine shots, not get the rabies out. I didn’t know that much about rabies so I looked them up—and I found out about how it used to be fatal until a man discovered . . .
Brian listens to his information, changes, cuts, pastes, reorganizes and shapes his material toward an end. He goes through a lengthy process of reading, taking notes, sorting, reseeing, rereading, crossing out information, reading for more information, repasting his orders, changing words. Brian grows in control of his craft over a five-week period of persistent, self-directed searching for the best way to write his selection about gray squirrels.